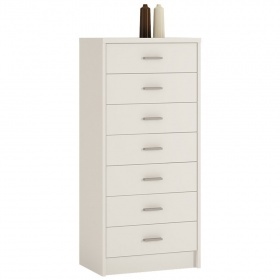 Tall narrow design helps you to utilise your storage space. Five good sized drawers and display top. 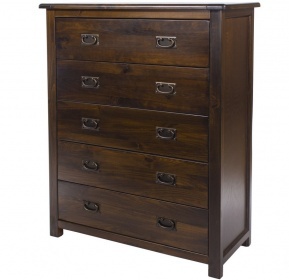 Natural oak grain and heavy round brass knobs work together to give the piece a warm feel. 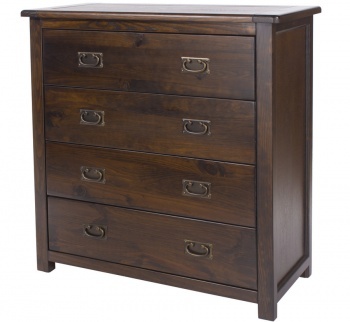 Traditionally crafted with dovetail drawer joints, solid wood drawer boxes, solid drawer bases and drawer stoppers. Hard-wearing easy to clean lacquer finish. Constructed from solid oak and oak veneer. Part of our collection of oak bedroom furniture.